The Idaho Legislature has entered the fifth week of session. 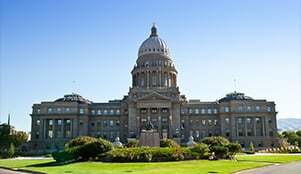 Top headlines of the week include the Idaho Supreme Court ruling to uphold Medicaid expansion, Idaho water legislation headed to the Governor's desk, and Governor Little's issuance of two executive orders. As the session moves forward, we are continuing to track legislation impacting you and your practice. The Professional Firefighters of Idaho along with some of the law enforcement groups have introduced this bill which would change §72-451 to allow coverage for post-traumatic stress injuries to first responders. While we think this is a well-intentioned bill, we believe that all workers should have this benefit. This bill would create a carve-out for some while leaving others vulnerable. Please let your legislators and the Senate Commerce and Human Resources Committee know your thoughts on the bill by TOMORROW when it will be heard at 1:30 p.m. MST. You can listen to the testimony here. 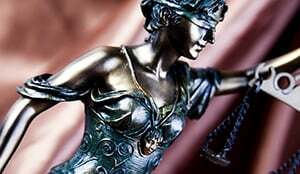 This bill, brought by the Administrative Office of the Courts, would add one new district judge position with resident chambers in Ada County. This ITLA sponsored bill would increase the amount allowed under §7-1509 – EVALUATION DECISION – TRIAL DE NOVO – MISCELLANEOUS to $35,000 which follows the increase to the SLRA which was passed last year. Learn about the legislative process, meet with lawmakers, and attend committee hearings. Join the 7th Amendment Advocates and Idaho Lawmakers to celebrate our U.S. Constitution.